It seems that we all narrowly escaped the End of the World today, on 21st December 2012, or maybe it is too early to judge. There seem to be many reasons for this, from a normal calendar change to a wrong synchronisation of our modern calendar to that of the Mayas. For an overview, please refer to NASA's Q&A on the matter. As a consequence, it is worthwhile to continue and increase all of our combined efforts towards the funding and eventual building of EISCAT_3D, so that we can make the best of this facility in good time, should some kind of end of the world arrive one day. 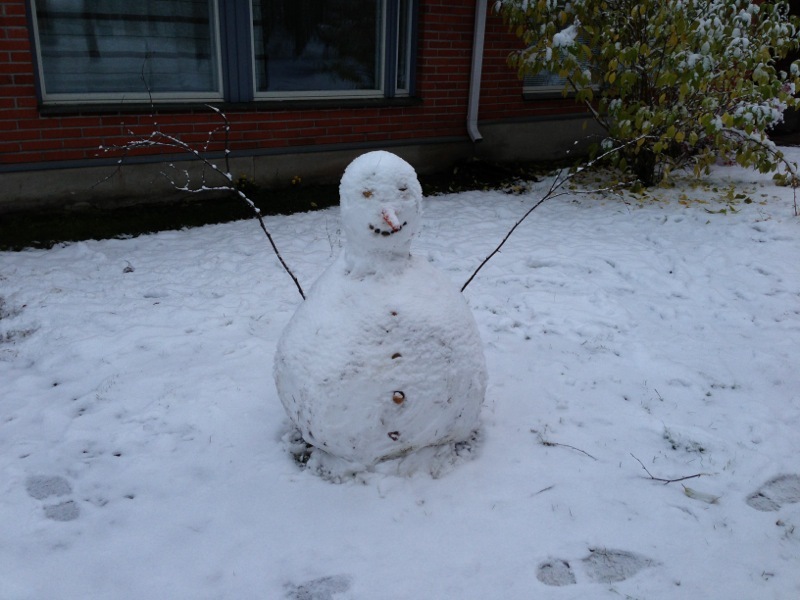 In this spirit, we wish all of you peaceful and relaxing holidays and a very happy new year 2013, which certainly will see quite a few exciting news and decisions regarding our common endeavour to build the world's leading (not ending!) incoherent scatter radar facility. Photo of the EISCAT Tromsø site is courtesy Daniel Martini, taken a few weeks ago during a measurement campaign. The UK Research Councils (RCUK) has published a new strategic framework document for investment in research infrastructure, called “Investing for Growth: Capital Infrastructure for the 21st Century”, and EISCAT_3D is included as one of the proposed projects. 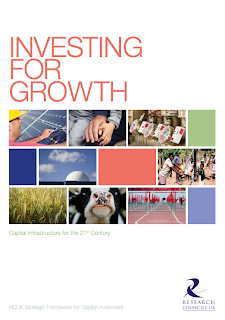 The new document is intended to provide a context for Research Councils to make strategic capital investment decisions in order to retain and develop UK national capability, and continue to lead in global science and research, and was launched by the UK Chancellor, George Osborne, last month at the Royal Society. Being part of this document is obviously a step forward in securing a future UK investment in EISCAT_3D, and we would particularly like to thank the UK EISCAT Council member, Michael Schultz, for securing the inclusion of our project. The references to EISCAT are on page 23 of the framework document, which can be found at here. Association of cusp energetic ions with geomagnetic storms and substorms, by J. T. Niehof, S. K. Morley, and R. H. W. Friedel, ANGEO, 2012, Vol.30, pp. 1633-1643, SRef-ID: 1432-0576/angeo/2012-30-1633, http://direct.sref.org/1432-0576/angeo/2012-30-1633. Effect of solar cycle on topside ion temperature measured by SROSS C2 and ROCSAT 1 over the Indian equatorial and low latitudes, by A. Borgohain and P. K. Bhuyan, ANGEO, 2012, Vol.30, pp. 1645-1654, SRef-ID: 1432-0576/angeo/2012-30-1645, http://direct.sref.org/1432-0576/angeo/2012-30-1645. 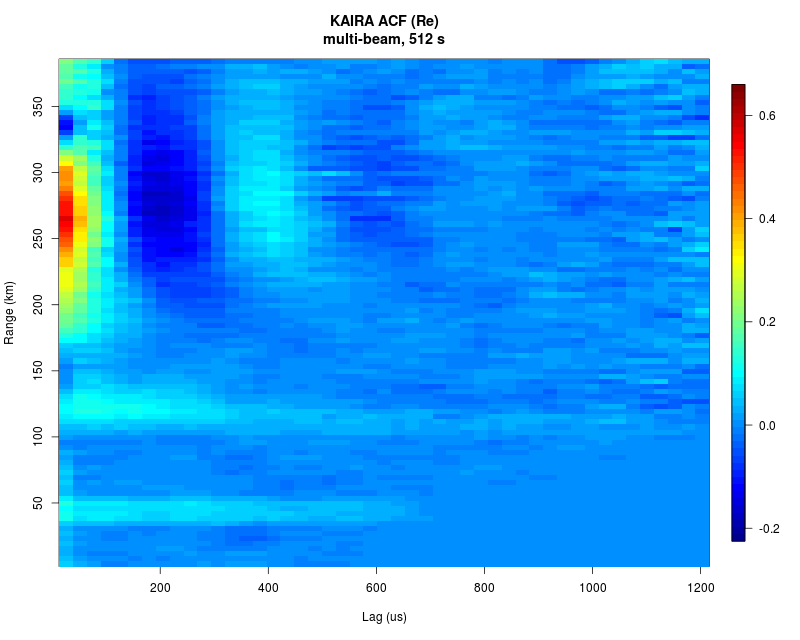 Intraseasonal oscillation (ISO) in the MLT zonal wind over Kolhapur (16.8° N) and Tirunelveli (8.7° N), by M. V. Rokade, R. Kondala Rao, S. S. Nikte, R. N. Ghodpage, P. T. Patil, A. K. Sharma, and S. Gurubaran, ANGEO, 2012, Vol.30, pp. 1623-1631, SRef-ID: 1432-0576/angeo/2012-30-1623, http://direct.sref.org/1432-0576/angeo/2012-30-1623. On ion gyro-harmonic structuring in the stimulated electromagnetic emission spectrum during second electron gyro-harmonic heating, by A. Samimi, W. A. Scales, P. A. Bernhardt, S. J. Briczinski, C. A. Selcher, and M. J. McCarrick, ANGEO, 2012, Vol.30, pp. 1587-1594, SRef-ID: 1432-0576/angeo/2012-30-1587, http://direct.sref.org/1432-0576/angeo/2012-30-1587. Observations of NO in the upper mesosphere and lower thermosphere during ECOMA 2010, by J. Hedin, M. Rapp, M. Khaplanov, J. Stegman, and G. Witt, ANGEO, 2012, Vol.30, pp. 1611-1621, SRef-ID: 1432-0576/angeo/2012-30-1611, http://direct.sref.org/1432-0576/angeo/2012-30-1611. 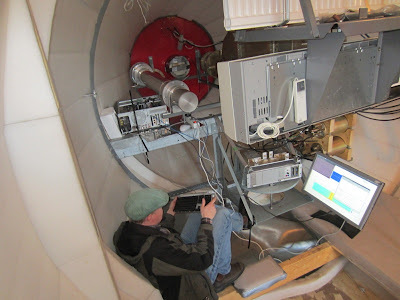 High-precision measurement of satellite velocity using the EISCAT radar, by T. Nygrén, J. Markkanen, A. Aikio, and M. Voiculescu, ANGEO, 2012, Vol.30, pp. 1555-1565, SRef-ID: 1432-0576/angeo/2012-30-1555, http://direct.sref.org/1432-0576/angeo/2012-30-1555. 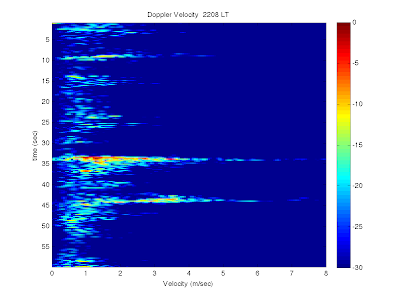 The pulsed nature of the nightside contribution to polar cap convection: repetitive substorm activity under steady interplanetary driving, by P. E. Sandholt, Y. L. Andalsvik, and C. J. Farrugia, ANGEO, 2012, Vol.30, pp. 1539-1553, SRef-ID: 1432-0576/angeo/2012-30-1539, http://direct.sref.org/1432-0576/angeo/2012-30-1539. Anisotropic pitch angle distribution of ~100 keV microburst electrons in the loss cone: measurements from STSAT-1, by J. J. Lee, G. K. Parks, E. Lee, B. T. Tsurutani, J. Hwang, K. S. Cho, K.-H. Kim, Y. D. Park, K. W. Min, and M. P. McCarthy, ANGEO, 2012, Vol.30, pp. 1567-1573, SRef-ID: 1432-0576/angeo/2012-30-1567, http://direct.sref.org/1432-0576/angeo/2012-30-1567. EISCAT Scientific Association invites applications for observing time on the EISCAT facilities in 2013, by individual scientists, research groups, and consortia throughout the world on equal, competitive basis. This means that anyone can apply, independent of whether or not the applicant is from an EISCAT associate country. 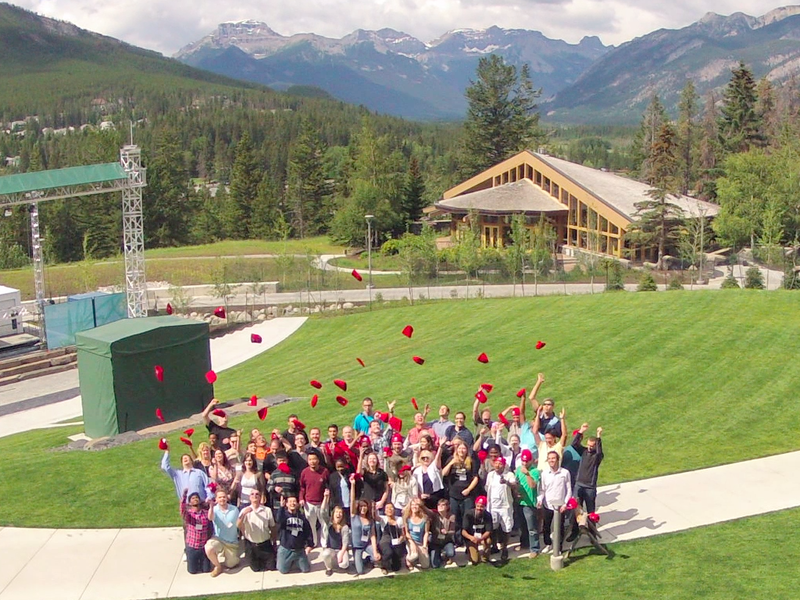 The present call is the first call for 2013. 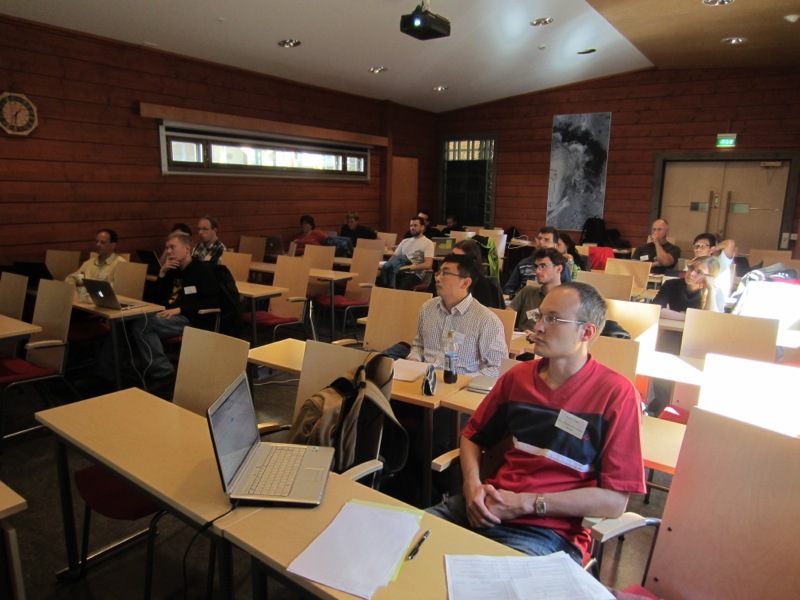 In total, 200 hours of experiment time are open for international, peer-reviewed competition, and are available for the use of any of the current EISCAT facilities. The deadline for proposals is 15th November 2012 at 24:00 UTC. 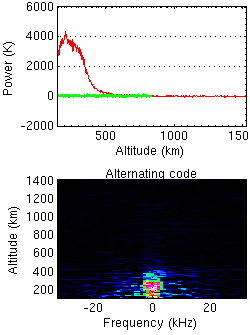 Large mesospheric inversion layer due to breaking of small-scale gravity waves: Evidence from Rayleigh lidar observations over Gadanki (13.5°N, 79.2°E), by K. Ramesh, S. Sridharan, J. Atm. Sol.-Terr. 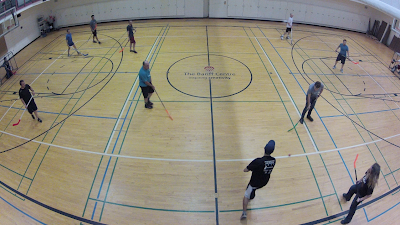 Phys., 89, 90-97, 2012, (link). 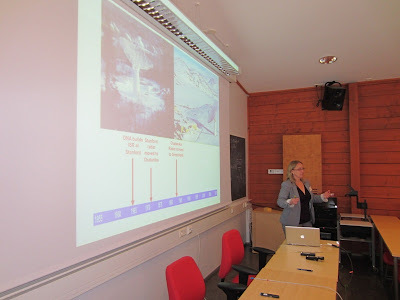 Solar forcing on the ice winter severity index in the western Baltic region, by M.C. Leal-Silva, V.M. Velasco Herrera, J. Atm. Sol.-Terr. Phys., 89, 98-109, 2012, (link). Generation of zonal flow and magnetic field by coupled internal-gravity and Alfvén waves in the ionospheric E-layer, by T.D. Kaladze, L.Z. Kahlon, L.V. Tsamalashvili, D.T. Kaladze, J. Atm. Sol.-Terr. Phys., 89, 110-119, 2012, (link). Local climatological modeling of ionospheric irregularities detected by GPS in the mid-latitude region, by G. Wautelet, R. Warnant, J. Atm. Sol.-Terr. Phys., 89, 132-143, 2012, (link). Climatology of the inter-hemispheric field-aligned currents system over the Nigeria ionosphere, by O.S. Bolaji, A.B. Rabiu, E.O. Oyeyemi, K. Yumoto, J. Atm. Sol.-Terr. Phys., 89, 144-153, 2012, (link). On 1st November 2012, EISCAT carried out the first tri-static experiment with the VHF transmitter in Tromsø and the remote dishes in Kiruna and Sodankylä, which had been converted to the VHF frequency of 224 MHz earlier this autumn. Good signals were immediately seen at all sites, with Signal-to-Noise Ratios (SNR) exceeding 10%. The monostatic part of this experiment was a test run low-elevation Common-Program runs with extra long ranges to be carried out in December, but during this particular test experiment the antenna was pointed vertically. 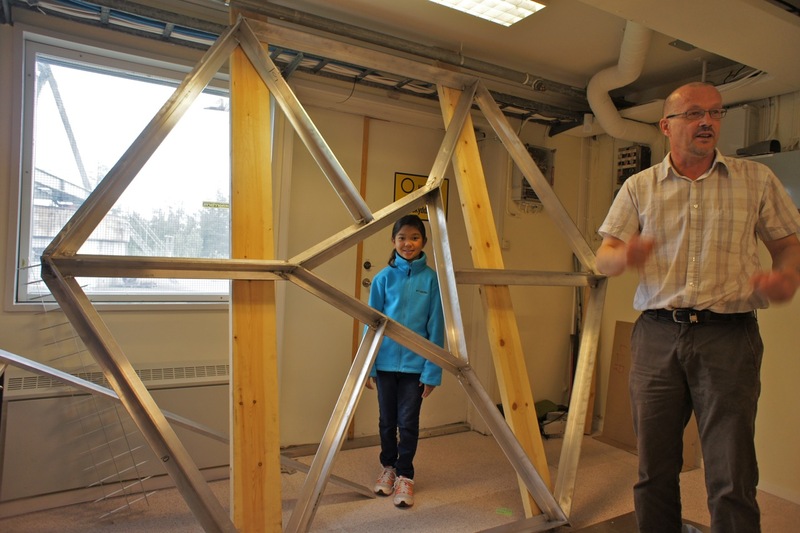 The beams from the remote 32-m dish antennas in Kiruna and Sodankylä intersected the transmitter beam at the F-region peak at 270 km. The transmitter sent a circular polarised signal at 223.6 MHz. 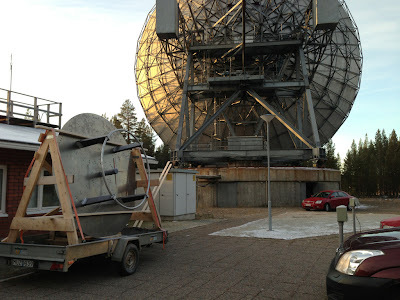 VHF at Kiruna, Sweden (left) and Sodankylä, Finland (right). 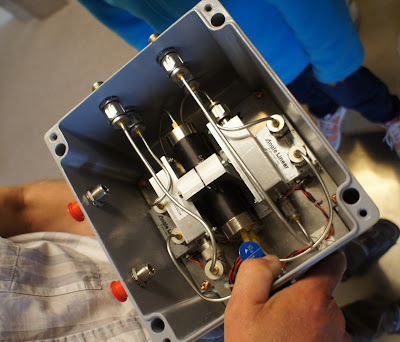 However, in this test, the remote sites received signals only in horizontal polarisation, which is currently the only polarisation, which has a calibration noise source connected. 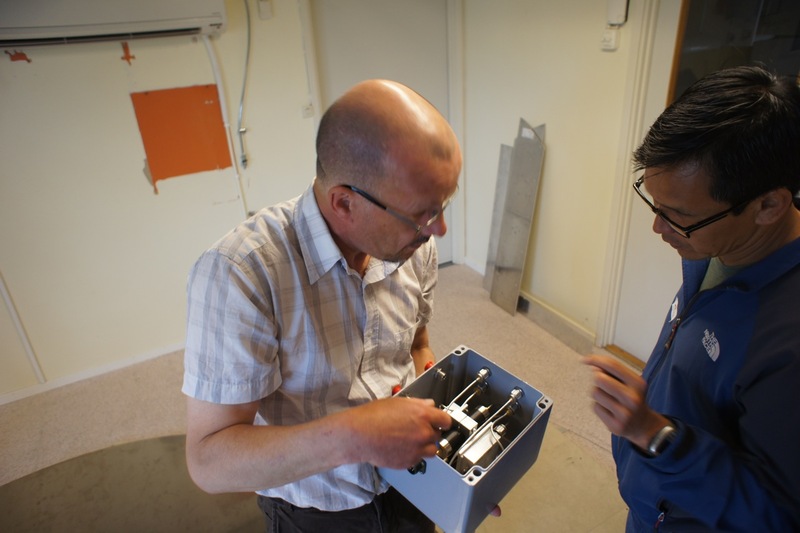 It will take a couple of months to finalise the project with fully calibrated signal together with a software polariser in order to take into account the Faraday rotation, which the signal gets on the way from the scattering volume to the remote antennas. With these fantastic first results we wish all of you a very good weekend! Text and images: Adapted from Ingemar Häggström. A while ago we reported, that the remote EISCAT UHF receivers in Kiruna and Sodankylä will be converted to the VHF frequency of 224 MHz in order to continue tristatic operations despite the interferences from mobile communication networks around the old frequency of 930 MHz. This week, on Tuesday, 23rd October 2012, the conversion work was completed with the replacement of the small mirror with a dipole ring feed. 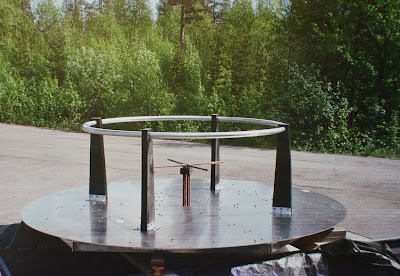 The feed system is shown in the photo above while still loaded on the trailer on which it was brought over from Kiruna, where it was built. 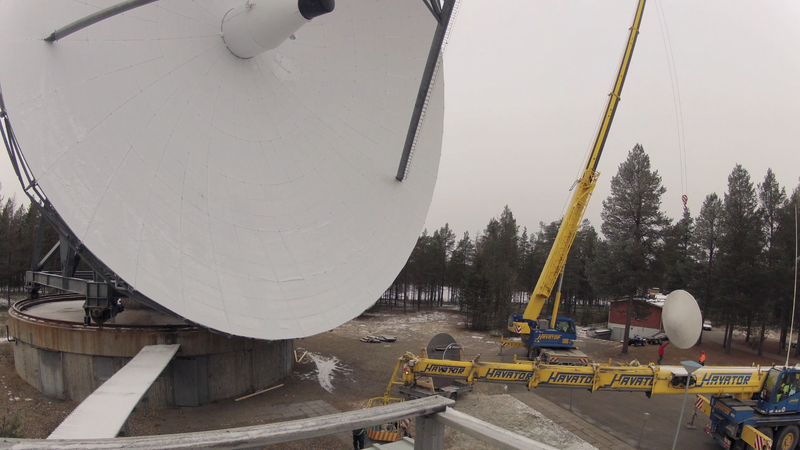 With the new feed installed at Sodankylä, the conversion of the remote sites is complete – pending testing of the new setup using the Tromsø VHF transmitter. This is planned for next week. 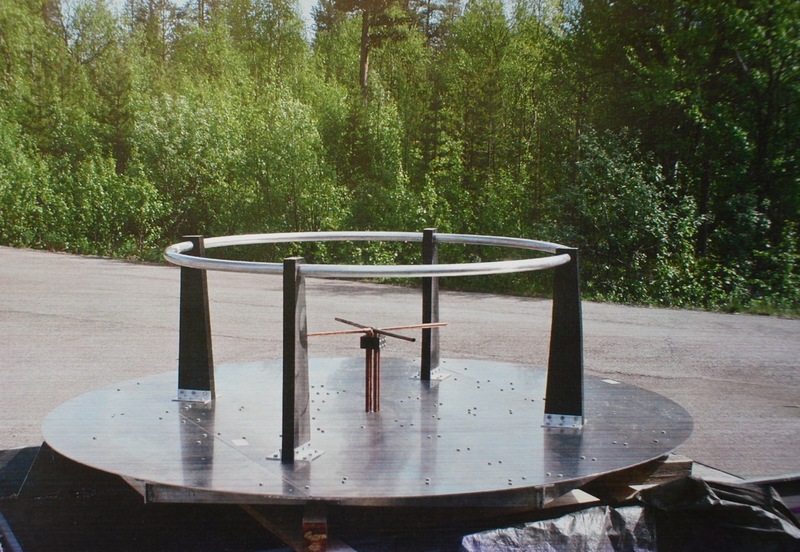 The photo above shows the small mirror being lowered into the yard of the Sodankylä Geophysical Observatory (SGO) after having been unbolted. Two cranes were needed: one for lifting the mirror, and the other holding a basket as a platform for doing the work. The second photo shows the new VHF feed being lifted into position. It is secured by two ropes to the ground in order to ensure the right orientation. At the same time, the mounting crew is getting ready in the basket of the other crane, ready to install the feed. These two photos are part of a series of thousands of images taken by a time-lapse camera on the roof of the EISCAT station. A time-lapse movie (Full HD 1080p) of the operation has been made available on-line. The movie is 7'34" long, based on images every 2 seconds and running at 25 fps. 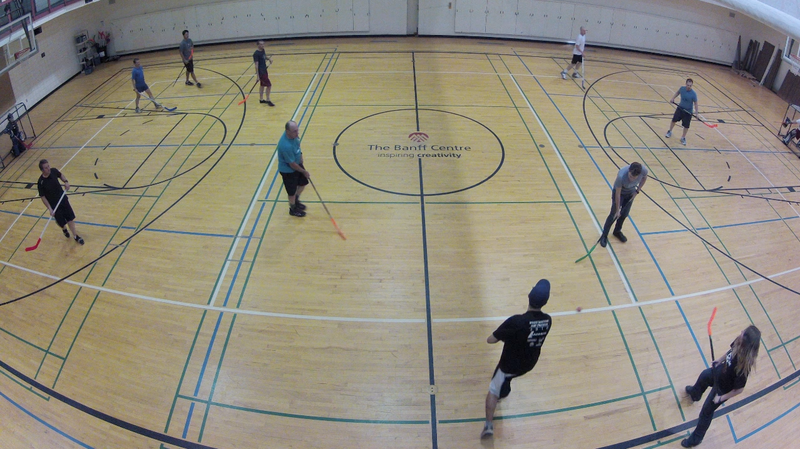 However, it failed to capture the action in the centre of the radar dish since it was pointed just a little too low. This unfortunate mistake is down to this specific camera not having a view finder allowing for exact aim. Well, we learnt something again: download test images before running all day. See also the photos of the Sodankylä conversion, which were published on the KAIRA blog earlier this week. 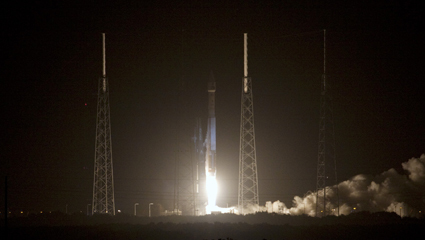 Time-lapse images were a collaboration between Thomas Ulich, Toivo Iinatti, and Derek McKay-Bukowski. Photo of the feed on trailer by Thomas Ulich. 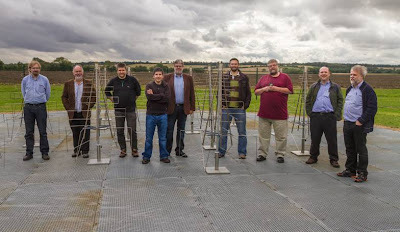 At the end of September, a number of participants in the EISCAT_3D project visited the Cavendish Laboratory of Cambridge University, UK, for discussions with one of the key groups involved in the design of the Square Kilometre Array (SKA). The two projects have a large number of common issues, since the SKA will contain an aperture array covering the frequency range from 70 to 450 MHz, due to be deployed in Western Australia. 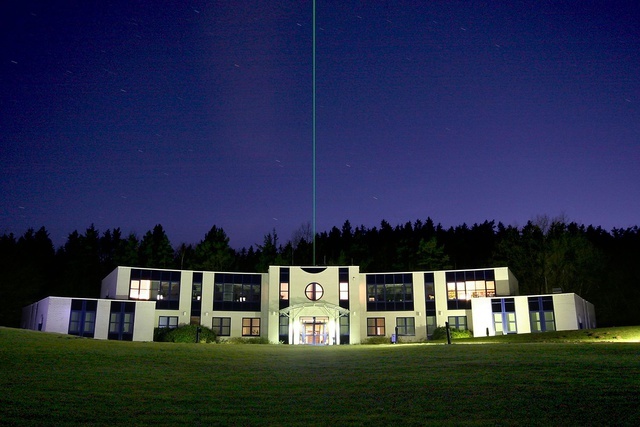 This frequency range includes the EISCAT_3D band, and the EISCAT_3D team were therefore interested to see the developments in antenna and signal processing technology, with which the Cambridge team were working. The two projects established a good working relationship and identified a number of issues where future collaboration would be desirable. 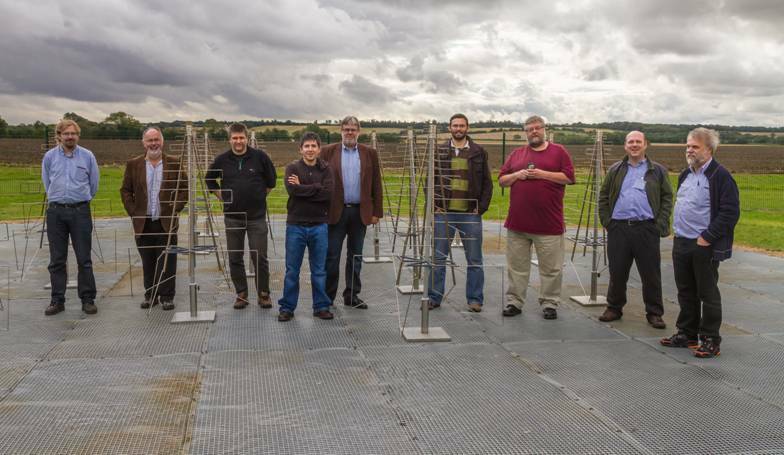 The picture shows some of the meeting participants at the Lord’s Bridge field site of Cambridge University, where a small test array of “Christmas Tree” log-periodic antennas has been built as a test for the SKA Aperture Array. From left to right: Johan Borg (Luleå Technical University, E3D); Ian McCrea (Rutherford Appleton Laboratory, E3D) ; Björn Gustafsson (EISCAT, E3D); Nima Razavi-Ghods (Cambridge, SKA); Leif Johansson (National Instruments, E3D); Eloy de Lera Acedo (Cambridge, SKA); Markku Lehtinen (Sodankylä Geophysical Observatory, E3D); Frank Lind (MIT Haystack, E3D TAC chair) and Andy Faulkner (Cambridge, SKA). Text: Ian McCrea (RAL); photo: Colin Lonsdale (MIT Haystack). This morning the southernmost EISCAT site at Sodankylä awoke to a beautiful winter scene: overnight fell about 5 cm of wet snow. 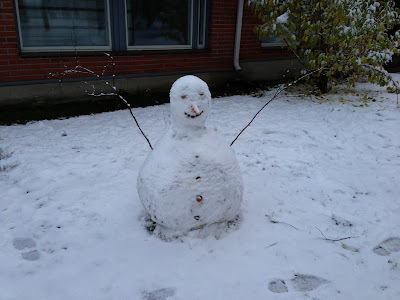 Perfect for making a snowman, but not ideal for working outside. Hopefully the winter weather will not cause problems to next week's (Tuesday, 23rd October 2012) replacement of the small mirror in the UHF antenna by a dipole ring feed, which will complete the conversion of the UHF remote antennae to VHF frequency. 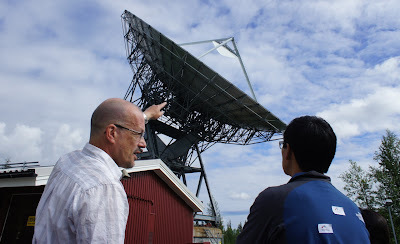 On 1st October 2013, Juha Vierinen defended his PhD thesis entitled "On Statistical Theory of Radar Measurements" (pdf, 6.4MB) at the Sodankylä Geophysical Observatory. Dr Jorge L. Chau of the Jicamarca Radio Observatory near Lima, Perú, served as the opponent, and prof. Erkki Oja chaired the defence. Juha Vierinen, who has worked extensively with the EISCAT radars and has contributed to the EISCAT_3D development, will shortly graduate as Doctor of Science (Technology) from the Dept of Information and Computer Science, School of Science, Aalto-University of Finland. 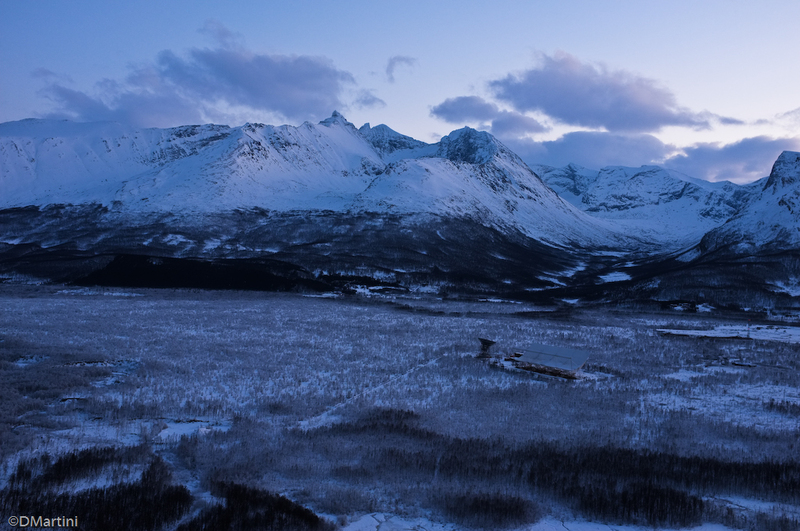 During the defence ceremony, Juha Vierinen showed the latest results from the KAIRA facility, which has had a tremendously successful first month of operation receiving echoes from the Tromsø VHF radar as well as interplanetary and ionospheric scintillation. 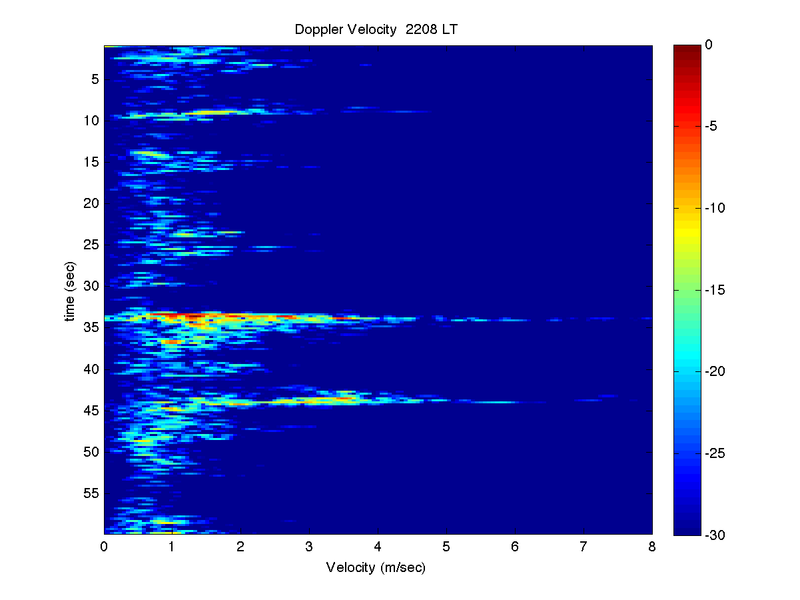 Statistical treatment of radar measurements is important as most radar measurements are corrupted by random receiver noise. In addition to this, many radar targets themselves have to be modeled as random processes. It is therefore not a coincidence that this thesis uses the framework of statistical inverse problems for modeling radar measurements. The introductory part of this thesis first goes through some important mathematical and numerical methods that can be used to model radar measurements and to apply these models in practice. We then describe several different types of radar measurements, with emphasis on high power large aperture radars. After this, we go through several useful radar measurement models. Finally, with the help of these models, we discuss optimal experiment design -- which typically amounts to radar transmission waveform optimization. The publications included in this thesis contain practical applications of the topics described in the introduction, including amplitude domain estimation of incoherent scatter signals, radar transmission code optimization, inverse synthetic aperture radar, and measurements of space debris. The photo shows Juha Vierinen inside the receiver cabin of the Sodankylä EISCAT UHF antenna, where he had installed his version of the cantenna radar for testing, trying to get it to work using a Big Dish. Photo Thomas Ulich.